The well-known cryptocurrency exchange, Mercatox has announced that the Tratok Token (TRAT) has been successfully listed on the platform. For both the exchange and Tratok, this token listing is an exciting achievement. 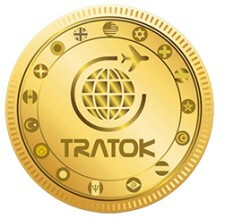 LONDON, November 9, 2018	(Newswire.com) - After the first successful airdrop of Tratok tokens in October 2018 and overwhelming enthusiasm from the community, Tratok has started their official listing of this ECR-20 utility token on selected exchanges that offers a safe and secure platform for their users. 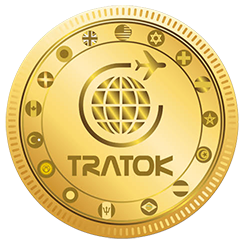 By doing so Tratok Ltd will ensure ease of access, widespread distribution and suitable liquidity for the utility token. Mercatox was chosen as it is a modern service for accessing e-currency and cryptocurrency exchange markets. It is a convenient and advantageous platform for trade, exchange of various currencies, which can be used by both beginners and experienced traders. Tratok will soon be launching its global travel booking platform powered by blockchain with a single dedicated utility token as a payment method. Be it booking a hotel room, flight or renting a car, Tratok promises a user-friendly platform, that offers significant advantages over existing conventional platforms. Principally, it lowers transaction fees, eradicates the need for middlemen, saves time on bookings and results in more profit for service providers and savings for consumers. With stakeholder experience as the main priority, the Tratok project seeks to revolutionize the USD 7.6 Trillion travel and tourism sector and set a new standard. Tratok has addressed the numerous pitfalls of the online booking industry and is aiming not only to rectify those but provide a free and fair marketplace for service providers and travelers to directly interact with each other. The TRAT token is now available for purchase on Mercatox Exchange, with many additional secure exchanges to be announced in the near future.